Click2Pay represents German online payment platform that in the blink of an eye provides effective money online transactions. 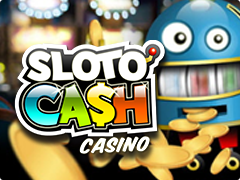 One can use to pay merchants including sportsbooks, casino, poker rooms and bookmakers. Click2Pay was founded in 2003 by WireCard AG, a global leading specialist for payments and customer online services. Let’s have some review of this handy system. In fact, Click2Pay payment method is in a sense of intermediary between plastic card or bank account and service where one can send the cash (prototype of American PayPal instant transfer service). The main currencies are EUR, USD and GBP and currency exchange are established by European Central Bank. So, how does it work? After Click2Pay registration, your account will be inactive till its verification. Checking of your signing up will be after a phone call from Click2Pay customer service, that gives you 16 digit code Payment Account Number (PAN). PAN is strictly required to handle online deposits and withdrawal. To deposit into your Click2Pay e-wallet one can via plastic card or bank account that are attached to the payment service. Withdrawals of Click2Pay are implemented in such ways as bank checks, bank credit cards and Click2Pay/Maestro debit card. Each player has an opportunity to get Click2Pay/Maestro debit card for 10$ in order to draw money from all ATM, where the fee will involve 2%. The Click2pay fee for withdrawing via bank check is 2$ and via users credit card 3%. Deposits and withdrawals of online money are restricted to U.S. players. If you have some issues send an e-mail to Click2Pay customer service, call on its hotline or use Live chat. Multiple payment security system provides safety modern mechanism of data encryption, a high level of credit card privacy and use of 16 digit code. Try to use Click2pay as your mobile payment service and you’ll be always sure in its safety and security!